This is our Pentecost moment, to move out into the streets, proclaiming the Spirit's presence among all people. Tina Fey officially made “sheetcaking” into a verb, as she consumed copious amounts of frosting on SNL’s Weekend update. Fey is, of course, unveiling the grassroots art of stress eating. Which was her way of dealing with watching the heartbreaking Nazi parade at her alma mater. Boys in white polo shirts, khakis, and torches, standing next to militia armed to the teeth, chanting, “Jews will not replace us” will certainly up the caloric intake for most of us. Between long walks and fervent prayers, I found that my ice cream intake has also increased. Ben and Jerry have become steady companions. Please, please. Find comfort where you can. Yet, I have to say, since most of the people who read the esteemed Christian Century are clergy or lay people who have at least one denominational t-shirt in our drawers, we can’t really take Tina Fey’s advice. We, unfortunately, don’t have the convenient option of screaming into a pile of bakery goods. Especially if we're white, we have to robe up, show up, stand up, and pray up, whenever possible. I know it’s not always easy. When we wear our clergy attire, the cameras always find us, and pastors who serve “purple churches” will inevitably have members who don’t want to see their preacher partaking in politics. Unfortunately, these days, it’s easy to get basic human rights and the ability to exist in our nation all mixed up with partisanship. Our well-to-do members look at the stock market, and figure that, if it’s okay, then the nation’s okay. They’re willing to look the other way when Trump embarrasses them and they want us to do the same thing. But, just as we cannot take the advice of Tina Fey, we also cannot take the advice of the friendly CFO, who happens to be a member. We can’t really sit this one out. There is another reason protesting isn’t easy. This part is more complex, because it has to do with our egos. I protest as much as I can (my schedule is erratic because of traveling), so I know it’s uncomfortable for clergy. We’re not used to being at gatherings where we’re not in charge. We don’t know what to do with our hands. We’re frustrated when we're not in control of the organizing. We’re used to walking into a room and being respected. People look to us for advice. We are often critical, because usually it’s our job to always figure out how the event can be better. Do be present. It’s important that clergy clearly protest white supremacy. 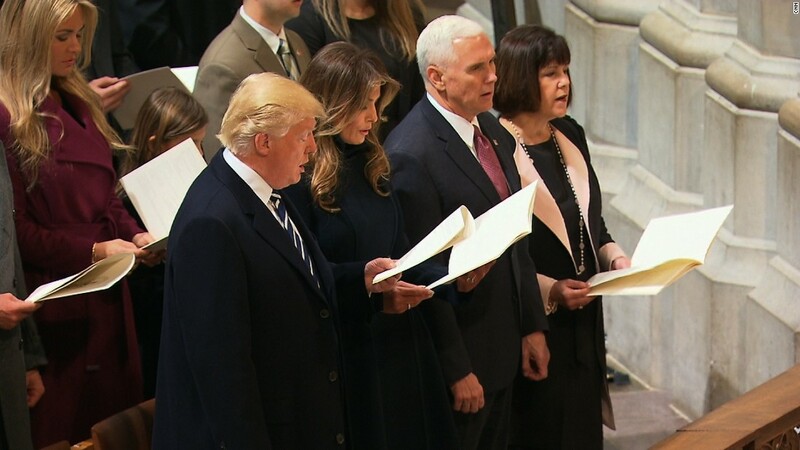 Right now, the face of religion is hosting President Trump’s inauguration at the National Cathedral. They are surrounding Trump in prayer in Evangelical power circles. As religion partakes in this major moral failing, we need to make sure that the face of religion in this country is also marching, making statements, and clearly condemning the Nazis and KKK. Don’t assume you’re in charge. If you’d like to be a part of organizing, then you need to show up at the organizing meetings. When you show up at the protest, it’s time to listen. If you’re a white, showing up to proclaim that Black Lives Matter, then you need to take orders, stand in line, and be a part of the chorus. It’s not a time to argue. This is not your Facebook page. It’s time to take directions. Find out the level of risk. Most organizers will tell you if there is a low to high level of risk. If there’s training involved, then go to the training. Follow your conscience. If something is going on that you don’t agree with, don’t feel guilty about ducking out. If you’re not in a position to be arrested or face violence, then find another way to protest. If you’re involved with digital activism because that’s what you can do, don’t let people shame you for not doing enough. Do what you can, when you can, in the way that you can. Do non-violent training. Clergy have the history and ethical standing for peaceful protest. We need to be training and preparing. It’s well past time. Judicatories need to be putting money, buildings, and resources into this. Be vigilant. Not everyone at a protest agrees with the purpose of why you’re gathered. You might be all singing Kumbaya, but it’s not like going to a concert. You have to know the red flags—people who act like supporters, but they’re actually not. Don’t expect that your faith will be respected. For the average protestor, Christianity typically stands for questioning global warming, taking away women’s rights, and supporting President Trump. Your collar may not be respected, but you still need to be there. Be humble. You’re one part of something greater than yourself. If you can’t be there, give money. There are many groups you can give to. For Presbyterians, PPF does a great job of supporting and equipping activists. Volunteer. If they need people to clean up trash, then we can do what's needed. As you hit the pavement, make us proud. This is our Pentecost moment, to move out into the streets, proclaiming the Spirit's presence among all people. I was at a youth retreat and a senior in high school asked me, “Who are your inspirations when it comes to public speaking?" A new film and a hit podcast both feature women telling war stories—a role that’s usually reserved for male protagonists and male narrators. About three times a week, pastors ask me 1) how to get on the speaking circuit or 2) how to get published. The questions go together, because the answer to how to get on the speaking circuit is usually to get published. Sometimes they are just starting out in the ministry, and other times they are retired. Either way, my answer is the same, no matter what stage of life you’re in: Writers write.